The Irish Horse Welfare Trust is a non-profit organization dedicated to promoting equine welfare, for Equines in Ireland. This part of our charity is dedicated to empowering the lives of children and the young adults at risk with an interest in equines, through our Outreach programmes, “Education through Equine Programmes”. Through horses, it has been proven to be one of the most beneficial forms of education. These programmes have to be funded and we are looking for sponsorship in order to roll out these courses further amongst the 26 counties. If you are interested or your company please contact us today at info@ihwt.ie we would be delighted to speak to you further about such opportunities. Otherwise please make a donation to the charity. Our courses are targeted at Young Adults 18-22, Junior Schools programmes, Senior Schools programme and IHWT pony club for disadvantaged children. Horses are powerful tools for physical therapy, emotional growth, and cognitive improvement, in programmes that is designed to be, challenging, physically and emotionally demanding. Our Education through Equines, has power to change how a person sees the world and more importantly themselves, as well as delivering the critical educational tools on Equine Welfare. 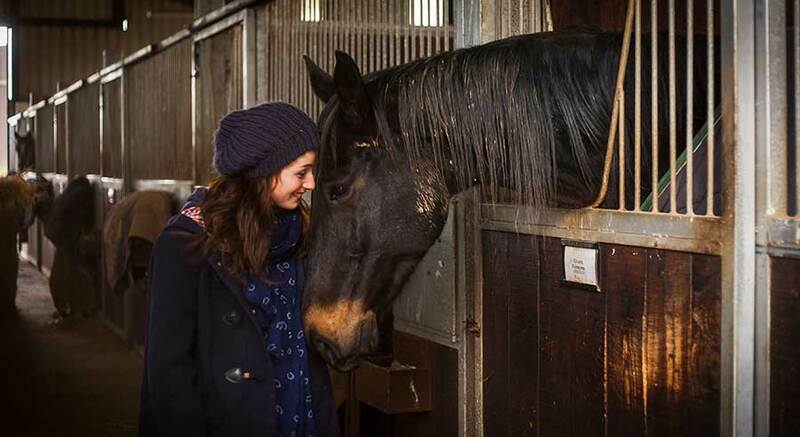 Besides the enormous physical benefits from riding the actual physical and emotional contact and bonding with the horse is a large of part of the programme. For some people who have emotional or troubled lives the bond with the animal can transform their whole lives and enrich it beyond belief. Importantly for us as a Equine Welfare Charity through our Programmes we get to deliver the key welfare messages and training to these sectors of the community on Equine Welfare Issues. Through their participation & emotional development comes the knowledge and respect deserved to the horses. From extensive experience in Moyross, Limerick, working with the Garda Youth Diversion project, the IHWT has developed our educational programmes to cover a wide range of areas with regard to the care & welfare of the horse.